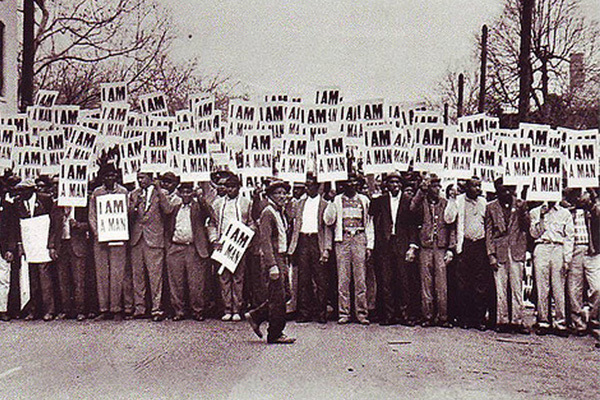 The entire labor movement will join together to launch the I AM 2018 campaign, a joint initiative between with the American Federation of State, County and Municipal Employees (AFSCME) and The Church of God in Christ (COGIC) to advance racial and economic justice. On February 1, 1968 a storm forced sanitation workers Echol Cole and Robert Walker to seek shelter in the back of their truck. The workers’ repeated warnings to management about faulty equipment proved tragically prophetic that day when the truck’s compactor kicked on, crushing the two men to death. Following the deaths, their coworkers voted to strike. Despite facing racial hatred and disrespect, they bravely struck for more than two months with the support of union sisters and brothers from across the country, and by Dr. Martin Luther King, Jr., who traveled to Memphis to march in solidarity. Memphis is where he ultimately gave his life for their cause. Learn more about the I AM 2018 initiative honoring the legacy of those brave strikers and Dr. King.